Russian politician Alexi Navalny is calling for a boycott of next year’s presidential election in Russia after being barred from running over corruption charges. We speak to Professor Stephen F. Cohen about Navalny, the Russian election, and how Russians are viewing the never-ending Russiagate controversy in the U.S.
Aaron Maté: It’s The Real News, I’m Aaron Maté. Russian politician Alexei Navalny is calling for a series of protests and a boycott of next year’s presidential election. This comes after Russia’s Central Election Commission barred Navalny from running because of a conviction on fraud and corruption charges. Navalny says the case against him is politically motivated. 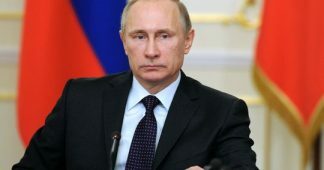 He is often described as President Vladimir Putin’s strongest challenger, even though polls show he has just two percent support. This comes as Putin has formally registered for the March 2018 vote, where he will seek a fourth term. 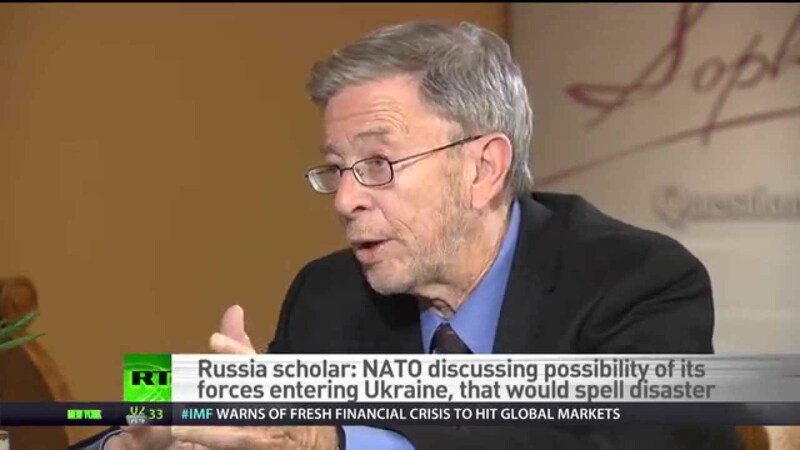 Stephen F. Cohen is Professor Emeritus of Russian Studies, History and Politics at New York University and Princeton University. Professor Cohen, welcome. Let’s start with Navalny. What is the significance of him being barred from running in the election? The way it’s being talked about here is that Putin is trying to sideline his strongest challenger. Stephen Cohen: Well, it’s not clear he is his strongest challenger. As you said Aaron, the polls–and these are not Kremlin polls but fairly independent polls–give Navalny, if the election were held tomorrow, somewhere between two and maybe six per cent. That would make him fourth or fifth. No, that’s not right, it would make him third behind a guy named Zhirinovsky, who heads a very nationalist party and has run against Putin four or five times. He usually gets about that. And the Communist Party candidate, who will not be this time next year the leader of the Communist Party, Gennady Zyuganov, but a stand-on. My guess is the Communist Party would probably get, if given half a decent fair shake, that is some television time, probably 10 per cent. So Navalny, at least based on the polls, is not the strongest candidate. What he does have is a constituency that alarms the Kremlin, and that is young people, in particular educated young people who like Navalny’s kind of in your face, ‘you’re all corrupt’, assault on the Kremlin. So, he has real appeal in the country. Personally, as a student of Russia, and having spent so many years following Russian politics, I wish they would put Navalny on the ballot because I’d like to see what he gets. It would be very interesting to know what voters really think of him because polls as we know don’t give you an accurate picture. They’re using as a reason not to put him on the ballot that a person who is a convicted felon cannot run for–I don’t remember whether it’s any office–but cannot run for federal office. He has one, maybe one-and-a-half felony convictions. He says they were political frame-ups. So, formally and legally that’s the reason he’s not on the ballot. Let me just end by saying it would not surprise me if the Kremlin figured a way to have his conviction reheard, the felony set aside and put him on the ballot because Putin would have reasons to want him on the ballot. That is, to get a bigger turnout, to infuse some excitement in an election that appears rather ho-hum. So I don’t think this story is over yet, or possibly not over. Aaron Maté: But then, that raises the question. Do you think Navalny is right when he says that the initial charges against him were politically motivated, designed to keep him off the ballot? Stephen Cohen: The original charges were a number of years ago. My memory may not be accurate on this, but I think this goes back six, seven years before there was any talk of him running for the presidency. So I don’t think the answer is they cooked up these charges against him so that four or five years later, he couldn’t run for the presidency. As for the second question, I have a firm rule: What I don’t know, I don’t evaluate. I don’t know if the charges were legitimate or not. I didn’t follow the case that closely. I know it was upheld in the Russian appellate system. You may say that means nothing but sometimes convictions are struck down. But I also know that the European Court said it was a political conviction. Aaron Maté: Hmm. And you mentioned the Communists. So, they’ve chosen as their candidate Pavel Grudinin, if I have that name close to right. Stephen Cohen: I think it’s—I’ve never heard of him–but I think it’s Grudinin, but it doesn’t matter. Aaron Maté: Grudinin. Okay, so in terms of their platform, you’re suggesting that they have the strongest chance of challenging Putin, even though it’s widely assumed that Putin will win. What kind of platform will they be running on to challenge Putin’s agenda? Stephen Cohen: Well, let me sum it up. It will be social democracy plus Russian nationalism. That’s been the Communist Party’s attempt to build its electorate. 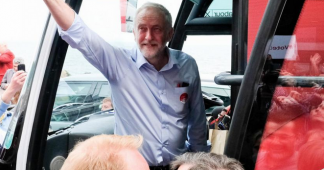 The social democracy–or let’s put it in plain terms, the old Soviet cradle-to-grave welfare state–is much desired and much missed by a very large segment of the population, but mostly an elderly segment. The nationalism is, of course, a rising force throughout Russia. This was the case before the Ukrainian crisis. So, the Communists, even though it’s not really compatible with Marxism–they’re Marxists but of a special kind–have latched onto this nationalism. And they fuse the two. Here’s the thing, Aaron. Back in the ‘1990s–you’re probably too young to remember this–but the communists actually got in a number of parliamentary elections the most seats of any party in the Russian Parliament. They didn’t have a majority, but they had the most seats. I vaguely recall about 27 per cent. Putin comes to power in 2000 and, essentially, he steals the nationalism from them because Russia is in crisis, there’s the Chechen War, Russia is in depression-driven economic collapse. So Putin steals both the welfare state and the nationalism from the communists. And they’ve never done anywhere near as well as they did in the 1990s. My recollection is that in recent years, they got about 14 per cent but fell to about seven per cent. I don’t believe that number. All elections in all countries are more fair to some people than they are to other people. In our country, if you’ve got really a lot of money, they’re fairer to you. In Russia, they’re fairer to the people who have what’s called ‘state resources’–television and things like that. The communists have had none. I think if the communists were to get a completely fair shake, which would mean access to television because, as in this country [the U.S.], television drives elections, turnouts, preferences, they would probably get close to 20 per cent of the vote. Putin would still win. Let me end by saying on this point, that the fact that they’re not running their titular long-time leader Zyuganov, but a guy who’s known in the country, but not well-known, suggests to me that the communists have given up on the presidency and they see their base as, their future as in the Russian Parliament. And probably they’re correct to do so. Aaron Maté: So, Professor Cohen, in the second part of this conversation, we’re gonna talk about the dynamics right now between the U.S. and Russia. But since we’re talking right now about the internal Russian situation, I’m curious about your thoughts on how Russians are viewing this whole Russiagate so-called controversy right now. You were recently in Russia. You’ve studied the country closely. How are Russians, the ones you speak to, looking at this national obsession here in the U.S. and this widespread view that it was their president, Putin, who got Donald Trump elected? More generally, there are probably are some people in Russia who believe the story that our so-called intelligence agencies gave us. Though we now know it was just a few guys, maybe a few women, hand-picked by Clapper and Brennan, saying that Putin issued an order to hack the DNC, take the emails, give them to Wikileaks and make Trump president. Or the story varies–creates chaos in America because Putin really wants chaos in America. It’s all preposterous. There are no facts, no logic to this. 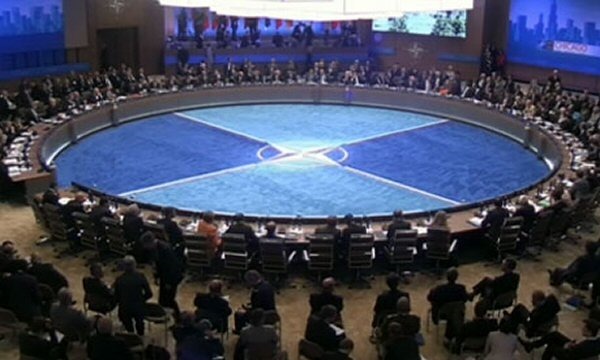 But Russians regard this–some Russians who want to believe that Putin is all-powerful–probably take pride in this. You know, ‘The Americans have pushed us around for 25 years, now Putin gave a taste of their own medicine.’ And since we [the U.S.] helped Yeltsin rig his reelection in 1996, that’s what comes to a Russian mind. We did do that. I was there, I watched it. There’s even a movie about it, there are books about it. The Clinton administration boasted about it. But I think most Russians who are educated–and there are a lot of them, critical-minded, and who can process the evening news, even if it is Russian propaganda–think the story is preposterous. They think it has to do with American internal politics and nothing really to do with Russia. That’s the educated opinion in Russia today. Aaron Maté: You know, Professor Cohen, in the time we have, let’s get into a little bit of the history that you mentioned. 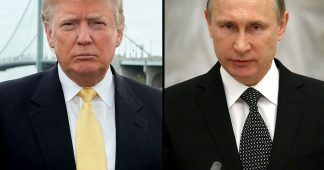 The focus right now is how Russia has allegedly been meddling in the U.S., but you’ve pointed out that even if all the accusations against Russia are 100 per cent true–the hacking of the emails, the so-called social media accounts and the troll army that posted messages on Facebook and Twitter–even if all that is true, it would not be a fraction of what the U.S. has done in Russia over the past 25 years, as you’ve been saying. Can you, in the brief time we have, can you sum this up for us as best you can? Obviously it’s a very long history. Stephen Cohen: I’m not sure I formulated it the way you did, saying ‘if even all the allegations were true’, because I can’t find any of the allegations that have been factually verified. So, I’m not sure I would go for a counter hypothesis like that. But with the end of the Soviet Union–I wrote a book about this called Failed Crusade, published in 2000, large parts of it appeared in The Nation Magazine. The subtitle was ‘America and the Tragedy of Post-Soviet Russia’. The book detailed–and there were other books on the subject not just my own—that, essentially, swarms of Americans went to Russia and decamped in government offices, in universities, everywhere imaginable. Americans wrote Russian legislation, wrote Russian textbooks or funded them, meddled, interfered in a tangible sense, not in this vague sense that we say ‘Russians meddled’–I’m not sure what means. But I was there in the ’90s. I saw the Americans there. And this culminated in 1996 when Yeltsin ran for reelection. He was sick, he was faltering in the polls, polls showed him with very little chance not only of winning but making the runoff because you have to get 50-plus-one per cent of the vote in a Russian federal election to avoid a runoff. It looked like he might not even make the runoffs. The Clinton administration mobilized people that we call–I guess like Paul Manafort and people like that who ended up in Ukraine–election experts. They decamped at the presidential hotel. They were fully visible. Clinton arranged for Yeltsin to get–I don’t remember the number–maybe a five billion dollar loan from the IMF to pay back pensions. And Yeltsin squeaked through. He would not have won, I think, without the American intervention. Now at that time it was considered a patriotic thing to do because his primary challenger was the one and same Zyuganov, head of the Communist Party. But the stakes were very high. The Clinton administration had vested heavily in Yeltsin. Had he lost, that would have been the end of Clinton’s Russia policy. I think it would have been a good thing but it would have been a catastrophe for Clinton and for American foreign policy. So, we did everything possible to get and keep Yeltsin back in the presidency. He lasted a few more years until basically his health gave out and then came Putin. But that was the most vivid, observable case of truly intervening in another country’s presidential election. And by the way, they boasted on it. HBO made a feature film with actors and all–I think it’s called Spinning Boris or Saving Boris–which you can get on HBO On Demand and still watch–taking great glee in how we had done this. And there have been books about it. So there was no shame, only pride. Russians remember this when there are these vague allegations that somehow Russia was involved in Trump’s election. Unlike Americans, Russians have a very acute historical memory. They remember these things. 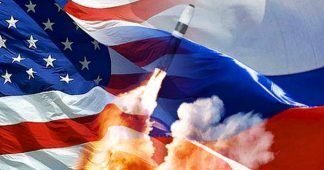 Aaron Maté: Well, on that note, we’ll leave it there and in part two we’re going to talk more about this current situation between the U.S. and Russia, and how Russiagate is impacting relations between these two countries.